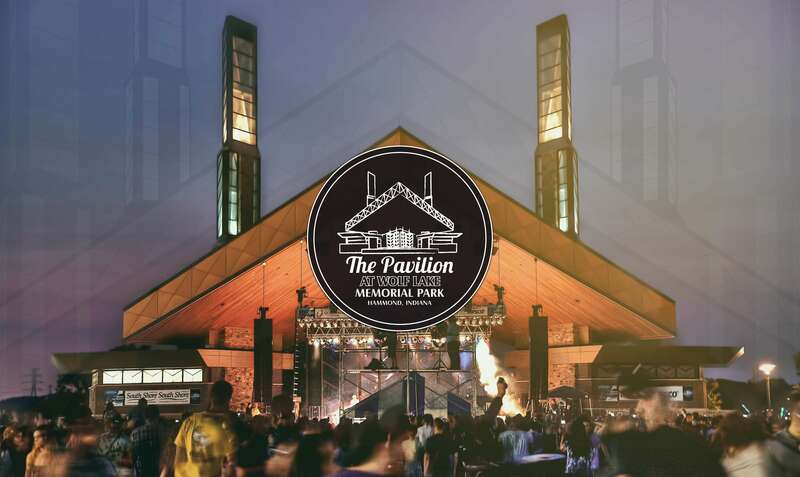 The Pavilion at Wolf Lake Memorial Park - Hammond, Indiana | The PAV, Northwest Indiana's Premier Outdoor Concert Venue located just 20 minutes from downtown Chicago in beautiful Hammond, Indiana. 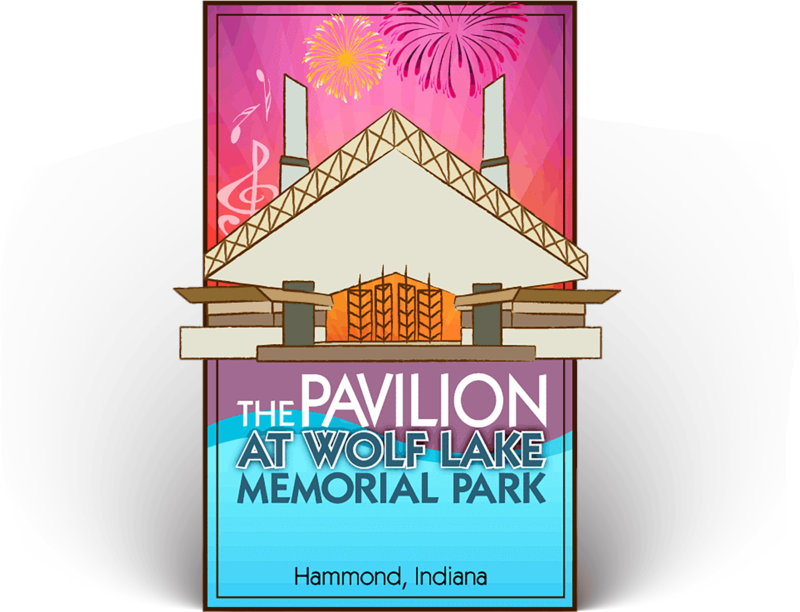 Nestled on the shore of Wolf Lake, and located just 20 minutes from Chicago’s Loop, The Pavilion at Wolf Lake Memorial Park has quickly become Northwest Indiana’s premier outdoor venue for concerts, movies, and festivals. Owned and operated by the Hammond Port Authority, “The PAV” and its tower design were inspired by the 1895 Frank Lloyd Wright amusement resort concept for Wolf Lake. With a 2,600 square foot main stage and 86,000 square feet of concrete and grass for seating, the PAV plays host to all kinds of concerts and activities including annual events like the Festival of the Lakes, the WHAM! Bike Ride, and the 4th of July Naturalization Ceremony. The Pavilion at Wolf Lake Memorial Park is owned and operated by the Hammond Port Authority.